The typical depiction of student living involves poky, dour and a generally fairly miserable standard. In television shows and other media, they’re messy, stuffy and unclean – but it doesn’t have to be that way. In fact, a lot of students take pride in their temporary homes to maintain a hygienic standard. 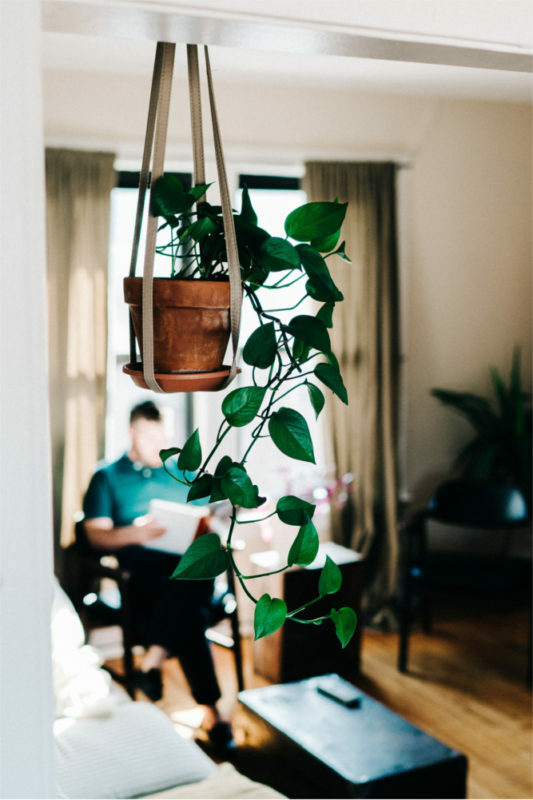 If you are looking to improve your living conditions while you study, an easy way to do so is through indoor plants. If you’re in a house-share, block of flats or any property above the ground floor, you may not have access to a garden, but you can still enjoy the benefits of biophilic design with some strategic plant placements. Of course, if you share some spaces you’ll have to get the green-light from your housemates, but there are always low-maintenance options you could select too. In 1984, Edward O. Wilson theorised that introducing nature back into our lives – a natural, primal connection we seek – would see a number of improvements in our lives. Biophilic design has long been a part of our considerations for decorating our homes and businesses, but Wilson’s theory has been backed by studies which show having plants around – while we’re indoors – can improve productivity, creativity and generally enhance well-being. If the statistics don’t interest you, you can always simply enjoy the addition of different colours and shapes to your home, bringing you greater comfort and joy in one of the places you’ll spend most of your time. Since communal areas, by their very nature, are shared by multiple people for longer periods, you’ll most likely want to make some shared decisions on the plants you choose. If you’ve got high ceilings you can get away with taller plants, such as the Kentia palm, Chinese windmill palms or flowering plants such as the flamingo flower or pink quill. For plants which trail or drop dramatically over edges of shelves and storage furniture, try climbing hempvine or mistletoe cactus. These are short, bushier plants which can help to stand out from your furniture. In the comfort of your own room, you are your own master when it comes to planting. For that reason, you might want to go for something a little different from the other areas of your flat. Orchids, lavender and flaming Katy are all bound to offer neat but striking touches to your bedside area. 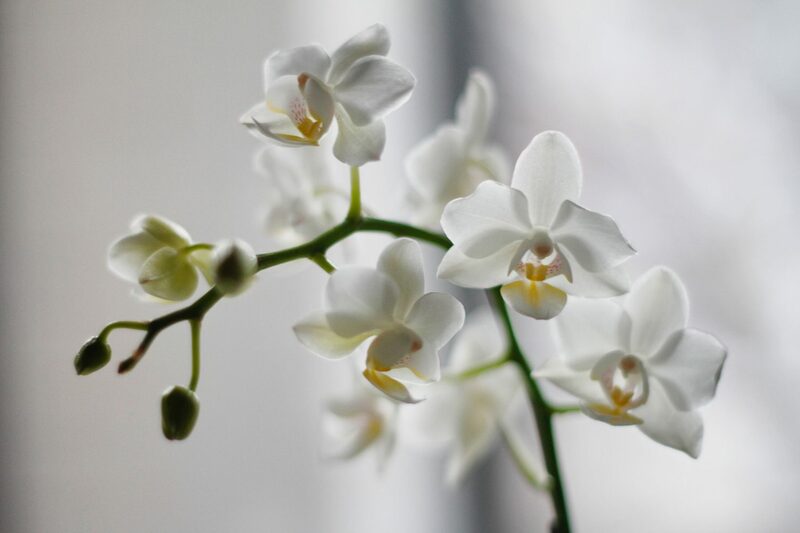 If your main aim from plants is to reap the health benefits, go for plants known to help oxygen flow – you can then benefit from this while you sleep or study (perfect for stuffier rooms). Barbados aloe, Easter cactus and mother-in-law’s tongue are all manageable plants thought to belt out more oxygen during the night. Brighter and more humid than other areas of the home, kitchens tend to be a place of varying temperature. For this reason, you need a hardier plant which enjoys the heat and humidity; popular succulents and ferns are simple and effective ways to dress any open spaces you have. If you want to combine your cookery skills and your green-fingers, why not try keeping herbs? They’ll come in handy when cooking large meals in need of flavour, but they’ll offer a soft green touch to your kitchen at the same time. Chives, mint, basil and parsley plants make good kitchen plants for these conditions. A bathroom is going to be a consistently moist environment, especially with multiple people sharing one bathroom. Keep this in mind when choosing plants, you want something which thrives in this kind of humid area. Around your bath and sink go for smaller, potted plants like bird’s-nest fern, English Ivy or peace lily. These will help to break up sheer walls of one colour with a little green. For plants which love the humidity, look to African violet, Boston fern or scarlet star plant – these could also add extra colour in an all-white bathroom. Looking for your perfect place to call home while studying? Whether you’re green-fingered or not, take a look through our property listings on Uni2 Rent – if you see something you like, get in touch and book a property viewing to ensure you don’t miss out!